P.W. 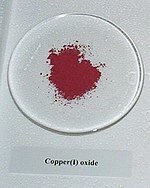 Baumeister: Optical Absorption of Cuprous Oxide, Phys. Rev. 121 (1961), 359. L. Brillouin: Wave Propagation and Group Velocity, Academic Press, New York, 1960. D. Fröhlich, A. Kulik, B. Uebbing, and A. Mysyrovicz: Coherent Propagation and Quantum Beats of Quadrupole Polaritons in Cu2O, Phys. Rev. Lett. 67 (1991), 2343. L. Hanke: Transformation von Licht in Wärme in Kristallen - Lineare Absorption in Cu2O, ISBN 3-8265-7269-6, Shaker, Aachen, 2000; (Transformation of light into heat in crystals - Linear absorption in Cu2O). L. Hanke, D. Fröhlich, A.L. Ivanov, P.B. Littlewood, and H. Stolz: LA-Phonoritons in Cu2O, Phys. Rev. Lett. 83 (1999), 4365. L. Hanke, D. Fröhlich, and H. Stolz: Direct observation of longitudinal acoustic phonon absorption to the 1S-exciton in Cu2O, Sol. Stat. Comm. 112 (1999), 455. J.J. Hopfield, Theory of the Contribution of Excitons to the Complex Dielectric Constant of Crystals, Phys. Rev. 112 (1958), 1555. J.P. Wolfe and A. Mysyrowicz: Excitonic Matter, Scientific American 250 (1984), No. 3, 98.